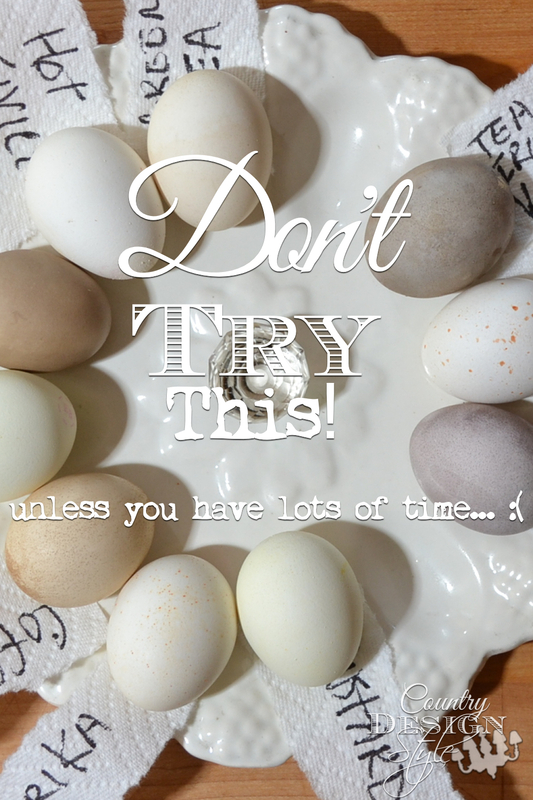 Actually some of my dying eggs naturally idea worked…as long as children are grown and live in another state! I remember dying eggs with my son in his younger years. He would drop the egg in the dye and then quickly want to remove the egg wanting immediate results. When he was older he would leave the egg in half the night wanted it to get darker. We usually bought the dye kits but as he got older we tried different ideas. 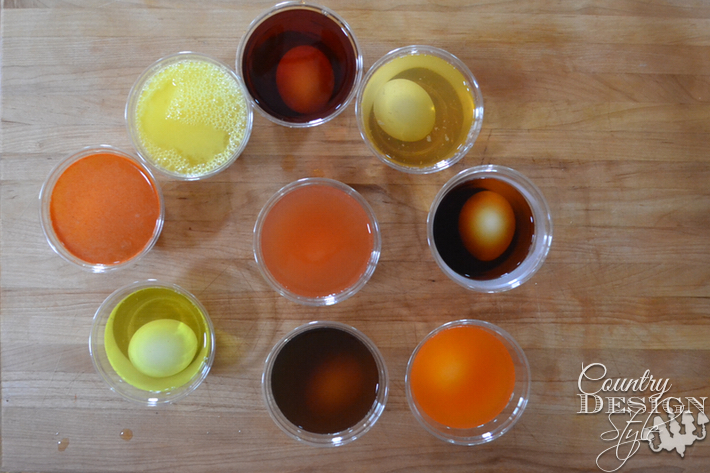 Getting the bright idea to try dying eggs naturally, I raided the fridge and pantry. That’s naturally, right?? Here are my final results. Not too bad…although I realize little ones would not be thrilled. Plus they sit on the kitchen counter overnight! 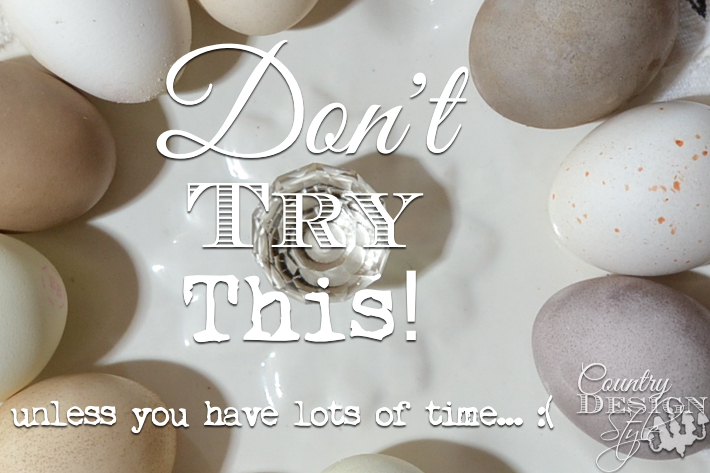 I don’t eat Easter eggs…so leaving them out overnight was the least of my problems. 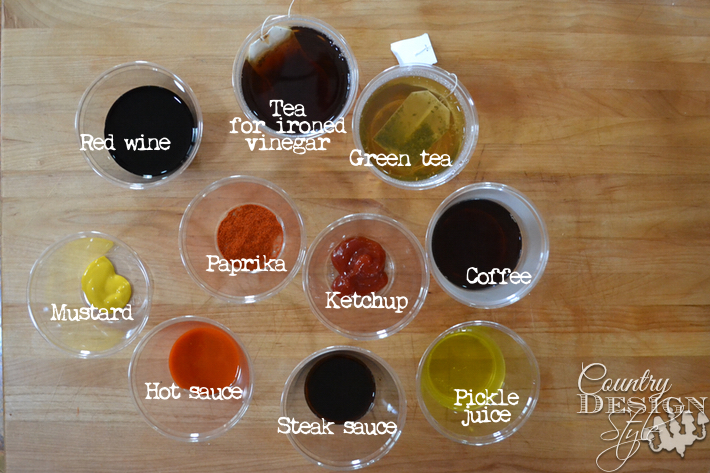 If you haven’t heard about aging wood with tea and “ironed” vinegar, you can read it here…it’s awesome! I added hot water to some and cold to others. I’ve no idea why the ketchup is spotty. Why hot sauce stains white shirts but does little to a boiled egg. Or why red wine looks splotchy! But I’m not surprised the “pickle” egg smells like pickles!!! but my limit is two eggs! Lol! 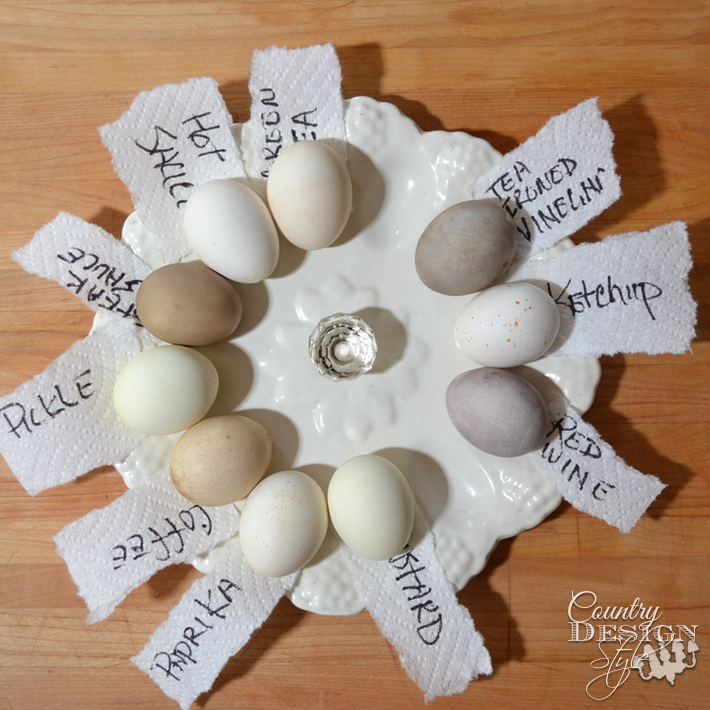 You can see my wooden monogram eggs from last year here.